So while I was going through one of Professor Messor his CompTIA A+ training videos, the computer I was working on started to make a beeping sound and I saw an orange light flashing. If it weren’t stressing me out right now, (I’m broke) it would be funny I mean what better way is there to test what I’ve learned so far, huh? Well a quick Google search taught me that each BIOS manufacturer has his own list of beep codes. So step one is to check who the manufacturer of the BIOS is, I could restart the computer, but I am lazy and impatient . There is a way, of checking who your BIOS manufacturer is without restarting your pc. 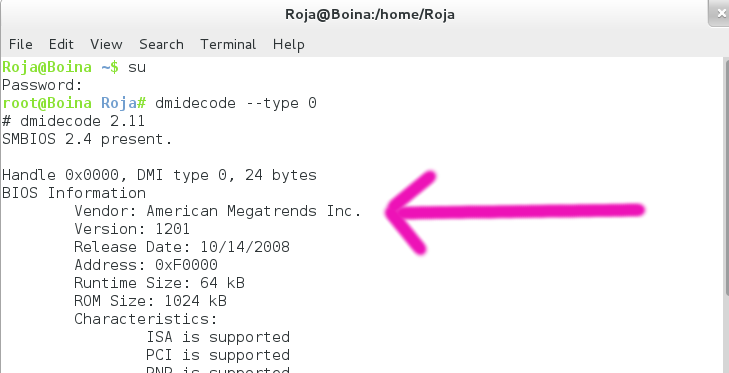 You can do this by using a command line program called dmidecode . A command line program(or utility) is a piece of software that can only be opened in, and/or used through the terminal. At one point during the installation you will be asked to type “Y” or “N”, type “Y”. 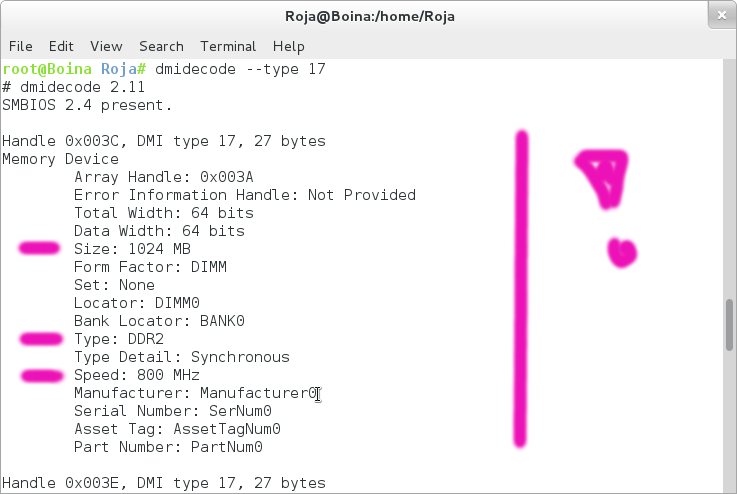 So now we have dmidecode installed, let’s check who the BIOS manufacturer is. Et voilà, there is the name of the vendor! So I have a problem with my DRAM……. Hmmm, now what? Well, I guess I have to check what kind of RAM I have. So I have 4 pieces of DDR2, each with the size of 1024 MB and a speed of 800 MHz. While typing the tutorial, I took a look at the backside of my tower and there are two circles behind it, I think those are vents. Or one of them is I think, I swiped it with my hand only to get an almost “Mano Negra” so much dust ! When continuing with this tutorial the beep eventually stopped and the fan is less noisy but the orange light is still flashing…. I am pretty sure the thing always flashed, so I think I am going to leave it at this. Categories: How to, Linux | Tags: Fedora, Lulz | Permalink.